The University of Texas at Austin Lincoln Douglas program provides an invaluable and intense educational environment at one of the most affordable prices in the country. Founded in 1994 under the direction of Prof. Randy Cox, our camp emphasizes individual focus to help students transition to their next level, whether that be achieving success locally, regionally, or nationally. The record of success speaks for itself. UTNIF alums have won NFL Nationals, TFA State, and UIL State. Previous UTNIF students have said that a couple weeks at the camp was comparable to an entire year’s worth of competitive experience in terms of the growth they underwent as debaters. At UTNIF, every student receives our full respect and attention regardless of previous experience or reputation. Our staff is also highly versatile in terms of understanding debate across regions and circuits (TFA, UIL, TOC, and NFL). You will be hard pressed to find a better value for your money. A balanced & intelligent approach to modern LD. Our staff is mature, open, and up-to-date with LD, giving students the benefits of instructors who are both experienced and current with the activity. The UTNIF curriculum reflects both an understanding of LD traditions, as well as hands-on knowledge of debate’s progression over recent years. Students leave UTNIF grounded both in LD history and its modern practice. We believe the best debaters have an appreciation for where LD has been and where it is going. These are the students capable of success when facing a variety of opponents in front of all types of judges. In addition, our curriculum will both introduce students to philosophical ideas and focus upon practical application. We make the time in our schedule for in-depth start-stop practice aimed at addressing each student’s specific needs as a round unfolds. This allows students to learn in the moment. Rarely do students experience this kind of intensive help. Choice. Lectures are offered in a module format, allowing students some variety in terms of what they would like to learn. Modules will be offered for different levels and interests and encompass skills & strategy, debate theory, and philosophy. Subjects cover a full range of material, from Kant to kritiks. The goal of the module format is for students to be able to learn what is most appropriate for them based on their style and region. A focus on decency and inclusion. At UTNIF, character matters. We want students to win more while knowing that winning certainly doesn’t determine the worth of people who participate in forensics. Our staff members are highly talented in terms of debate skill, but more importantly, they provide good role models for decency in our activity. Our camp nurtures a supportive environment based on mutual respect and friendship. We specialize in working with kids who are growing into their talent, not just those with established reputations. Every student matters equally at UTNIF, and we hope each person leaves our camp ready to make our debate community more competitive and more welcoming. Unparalleled resources for research. The UT Austin library is the 6th largest in the nation. Students attending UTNIF Lincoln Douglas camps will be placed in experience appropriate instructional groups by the Curriculum Director. UTNIF Lincoln Douglas is able to accommodate students of all skill level, from the true novice to the very advanced. In the mornings, students will attend skills based lectures on such subjects as time management in the 1AR, beginning and advanced flowing, crystallization, etc. Afternoons will be dedicated to lab instruction and practice rounds. In their labs, students will be guided by their instructors in case preparation on an NFL resolution that potentially could be selected for the upcoming year. Improving a student’s research skills will be a primary focus. Lab time also will be used to teach students drills they can use independently to advance their talents once they return home, such as rebuttal re-dos. In the evenings, there will be elective modules on philosophy and debate theory, as well as individual conference time for meeting with staff. Ruishi Wang is the Director of Speech & Debate at Westwood High School in Austin, TX. From former high school debate competitor to weekend college debate judge; and finally, now as the program director leading one of the largest Speech & Debate programs in the country, Ruishi has accumulated over 15 years of experience in this activity. In recent years, Westwood High School has been consistently ranked in the Top 10 schools nationwide by the National Speech & Debate Association. Westwood also consistently ranks among the Top 10 schools with the largest number of qualifications to the Texas Forensics Association State Tournament, and winner of multiple sweepstakes awards at the TFA State Tournament. 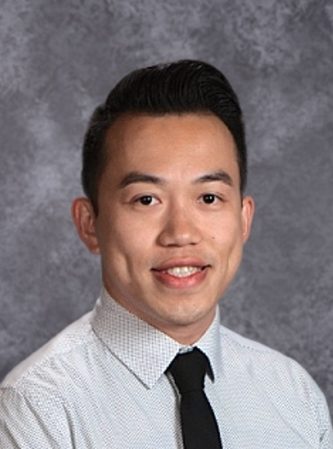 In his 5 years of leading the Westwood team, students have reached deep eliminations rounds, including finalists and champions, at the local, district, state, and national level competitions – including the 2017 TFA State LD Champion. Westwood students continue to excel and compete in late out-rounds at nearly every major National Circuit Tournament, Round Robins, TFA State, NDCA National Championship, NSDA Nationals, Northwestern Extemporaneous Speaking TOC, and the University of Kentucky Debate TOC. At the 2018 University of Texas Longhorn Classic Tournament, Westwood HS was awarded both the Champion (First Place) Debate Team Sweepstakes and also the Champion (First Place) Overall Speech & Debate Team Sweepstakes. Ruishi is looking forward to serving as the Lincoln Douglas Debate Curriculum Director and is excited to join the UTNIF team this summer. Miguel Harvey is a lifetime Longhorn and the head Speech & Debate coach at Anderson High School in Austin, Texas. He is a former policy debater and consultant, and has also served as the head coach at Connally High School and as an administrator and mentor with Texas Debate Collective. During the 2018-19 season, Miguel’s students accumulated 18 bids to the UK Tournament of Champions and qualified for every major state and national competition. This season, Anderson LD has championed the University of Texas, Churchill, and Strake Round Robin tournaments, reached finals at TFA State, earned top speaker awards at St. Mark’s, University of Texas, Strake Jesuit, and the Strake Round Robin and earned top-5 speaker awards at Churchill, Glenbrooks, Berkeley, and TFA State. During his time as a Lincoln-Douglas coach, Miguel has built a reputation as an innovative educator and highly preferred judge on the national and local debate circuits. 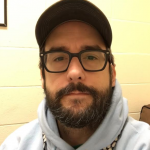 While he has taught all styles of LD argumentation and delivery, his specialty areas include theory, critical arguments, and identity representation. He believes that every debater and educator brings unique value to the activity, and that every student deserves an opportunity to grow and excel in debate, regardless of background. Miguel is thrilled to teach and develop curriculum alongside Ruishi and the talented staff at the UTNIF this summer. 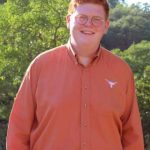 Will Hutchinson a rising sophomore at the University of Texas where he is a competing member of the policy debate team. This summer will be his 5th UTNIF, as Will attended as a camper for 3 years and worked on dorm staff last summer. Will competed primarily in LD his senior year of high school and primarily in policy the three years before that. Will is excited for his first year in a teaching position at the UTNIF, and is looking forward to another great summer. Will qualified to TFA state three times in high school, in policy his sophomore and junior year and in LD his senior year. In 2017 he and his partner won the 6A UIL CX State Championship. In college debate he has reached elimination rounds, and was second speaker at the Middle America Championship tournament. Will’s proudest accomplishment is one that he hopes to help you also achieve, a first place finish at the UTNIF camp tournament.